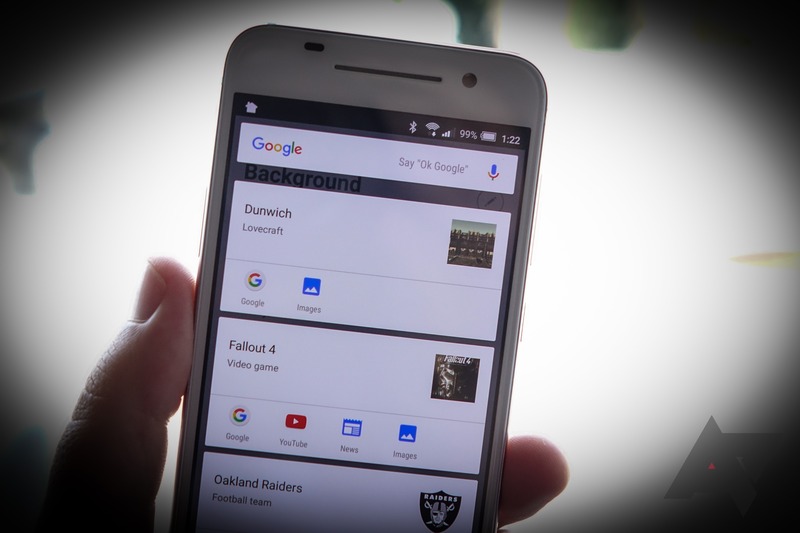 [Weekend Poll] Are You Using Google Now On Tap? How Often? Google Now On Tap was easily the most futuristic feature to be demoed when Android 6.0 was previewed at Google I/O earlier this year. We longed for it, anticipated it, and when it finally arrived... most of us didn't really find a use for it. I'll be honest: I had completely forgotten Now On Tap even existed until Artem suggested this weekend's poll topic, one that I think will yield some interesting results. I haven't ever used Now On Tap in a serious way, only once or twice for demo purposes (as in the photo above), and I'm not even able to think of a single situation where it'd be much more helpful than, say, copying and pasting or just using voice search to perform a query. But the idea behind Now On Tap is undeniably ambitious, almost magically so: giving your smartphone a "universal answer" button, more or less. The philosophy is that Google Now should be able to look at what's on your screen and, when On Tap is activated, predict what you want next. Basically, Google is trying to learn to give you what you want so effectively based on context that you don't actually need to do anything but acknowledge the next step you would then take. And yet, I don't think many people are actually using it. Fact aside that long-pressing the home button has long been associated with other actions, especially depending on your device manufacturer, Now On Tap just is not a particularly intuitive tool. How do you know when it will be useful? Trial and error is basically the only way, and if nine times out of ten you find Now On Tap isn't helpful in a given situation, why would you continue trying to use it? Aside from us enthusiasts simply being curious about how Now On Tap responds to various types of content, it's hard for me to imagine how one would manage to use it regularly and effectively in its current incarnation. But maybe you've found a way, and that's what we'd like to talk about - in addition to getting a gauge on how often you're using Now On Tap, if at all. Vote in the poll below, and let's talk about Now On Tap in the comments. How often are you using Google Now On Tap? Every day or almost every day. Maybe once a week / a few times a month. Basically not at all (my phone has Marshmallow). N/A: my phone doesn't have Marshmallow. N/A: my phone does have Marshmallow, but Now On Tap isn't available in my country.